Burt Chernow was an art historian, writer and teacher who began his career as an art teacher in the Westport school system. In 1964, while teaching at Greens Farm School, he established the Westport Schools Permanent Art Collection (WSPAC). In 1967, while chairman of the Housatonic Community College's art department, he founded the Housatonic Museum of Art. Burt was instrumental in helping to build its collection by soliciting artists, collectors and friends for donations to the museum, which now houses more than 4,500 artworks. He wrote many articles and books about modern artists, and was one of the founders of the Westport Arts Center. 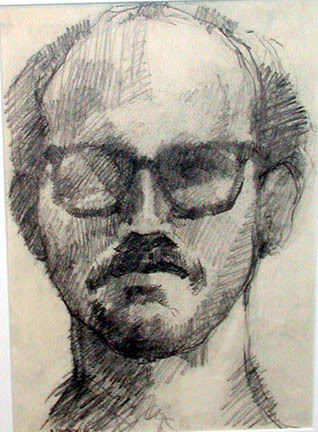 Burt was married to artist Ann Chernow. Chernow, Burt, “Man’s Head,” Westport Public Schools Digital Collections, accessed April 24, 2019, https://collections.westportps.org/items/show/523.